As Sol Lesser and RKO take over the Tarzan series from MGM, Noel and Michael welcome back guest Christopher Mills who helped review Lesser's first Tarzan film, Tarzan the Fearless, on Episode 8 of the podcast. In this new episode, we discuss whether the post-MGM series is in good hands, but also talk about the absence of Jane and of course Tarzan vs. Nazis. I agree with you about Frances Gifford.She was Beautiful with a great figure and would have made a great Jane for the RKO series. 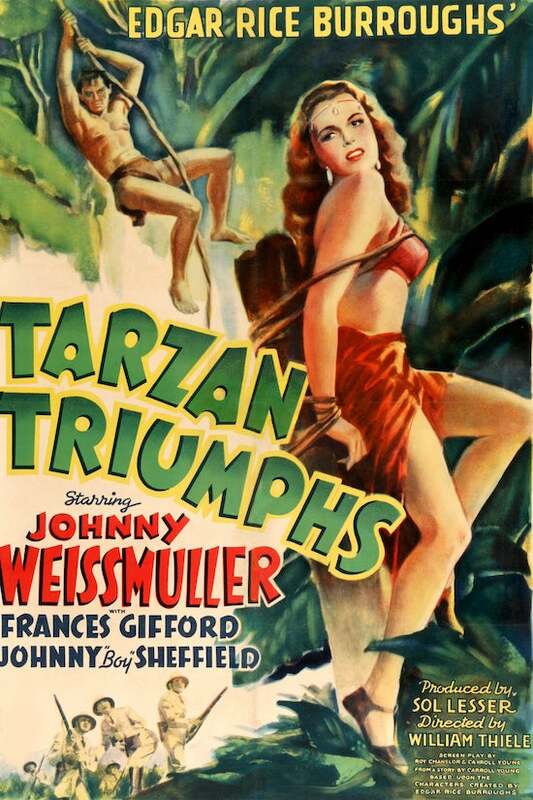 Tarzan Triumphs is a Great opener to the RKO series.